Participants, please e-mail AA Sports, Ltd (the timing company) at: Click Here with any corrections that need to be made to the information listed below or if you are missing from the results. 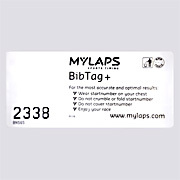 ATHLETES - This Timing Chip is disposable so there is no need to return it. MILE IN THE RESULTS BELOW REFLECT THIS LONGER DISTANCE.